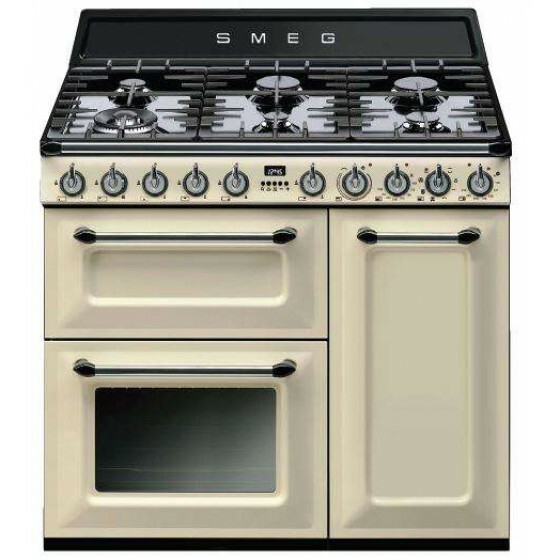 The Smeg 90cm Freestanding Dual Fuel Oven/Stove TRA93P comes with the Opera series cookers feature smeg thermoseal with a perfectly controlled cooking cavity for consistently better results, and selected models feature pyrolytic cleaning. In fact, Smeg is the first brand to launch a 90cm freestanding pyrolitic cooker with induction hob – the latest technology for cooking in the home. Smeg’s freestanding cookers all feature hobs that are rationally designed, offering high performance and a variety of power levels for all your cooking needs. 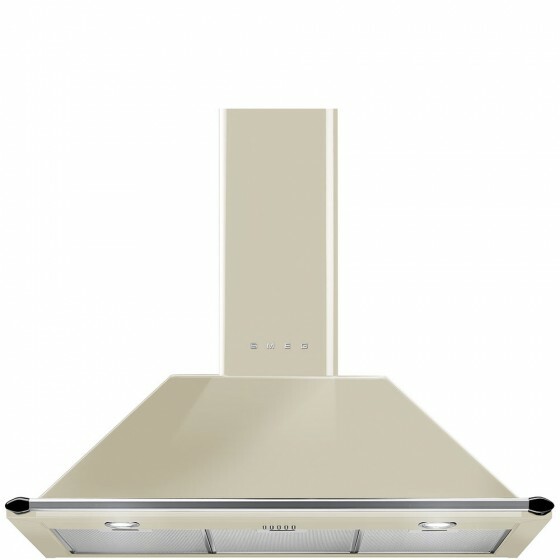 The Smeg 90cm Panna Victoria Canopy Rangehood KT90PA comes with 1 x 275W motor, 788m³/hr airflow, 2 x 2W LED (white) and four speeds.